Even the best candidates with strong resume have weaknesses in their professional or personal side. There is no person who is absolutely perfect in all aspects of life. So your task is to describe your weak side the way it will be your advantage. 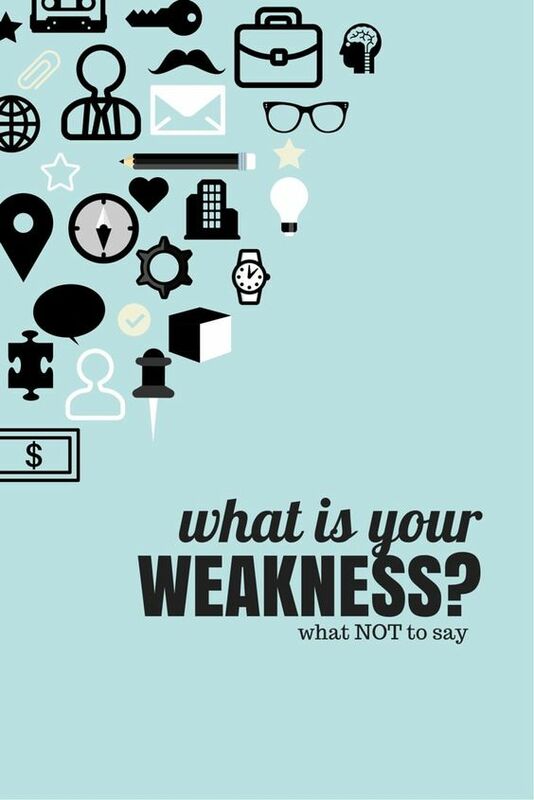 That’s why headhunters or employers often ask candidates about their greatest weaknesses. If you are not ready to answer this question, then there is 99% of probability you will fail the job interview. So this is an obvious thing to be good at if you want to be hired. You may be surprised, but it is really a mastership to be good at speaking at a job interview, and especially to turn your disadvantages into advantages as a potential worker. There is an ultimate guide which will teach you to be professional in this question, but there are several advice for you. Increase the mentions of positive skills and experience, but decrease using words in a negative sense. Explain how you can transform your weak sides into your unique advantages in a job and be more efficient than colleges. Demonstrate your ability to recognize weaknesses and explain your methods to improve them. Remember, that you are really able to improve your weaknesses which harm your professional and personal success. You can take special classes, use different applications (for instance, a time tracker or task managers), join a group of soulmates. Here is additional advice: review the vacancy advertising and requirements for candidates. There may be several things to use for your weaknesses list. To make your research in finding own disadvantages as a worker you can read the compilation of most spread candidates’ characteristics. Such weaknesses are serious, but if you work hard with your personality, you can make them less visible or even not detected during executing your job obligations. Be sure, that you will be asked with the question ‘What are your weaknesses?’. And let’s start with answers you shouldn’t use for your sake. Never describe yourself as a person without weak sides. Everyone including employers knows this fact is impossible. If headhunters hear something like ‘I have none of them, because I am the one for this job position’, they will definitely say goodbye to you. The response on such question depends on the job position you want to take, your personality, and numerous other factors. But in general, it is better to name such weaknesses which really means strong advantages for employers. For example, ‘I am a perfectionist and try to quench all weak sides’, ‘I work too hard’, ‘I feel to be too competitive’, etc. These answers are really popular and headhunters have definitely heard them very often, but you can use such word combinations with other arguments. Also, don’t change the topic of your weaknesses. Such a strategy will not work out with professional headhunters and experienced CEOs. In addition, the employer will notice your inability to keep up a conversation. But there is one exception. It is possible to change the topic only in case you have already given a full or partial answer on the previous question. There is nothing better than truth with proper description. Remember, that your potential employer has a great experience in business and human resources, so this is his professional skill to determine the truth and lie. According to such level of interlocutor actions during your interview, you should be attentive, polite, and ready for any unexpected question. I keep thinking about my work even during the meal, but it helps me to find out unexpected solutions for serious tasks. I am very demanding of myself and can’t stop doing this till I finish the important deal I am working at the moment. I am introvert and mostly think, then talk, but such characteristics help me to be more concentrated and efficient. Another trick to describe your weakness in a positive manner in to use pastime. For instance, you can share the problem of procrastination you have faced 2 years ago. Then you need to describe the solution (for example, using time managers) to keep you in time. As a result, you will submit, you don’t suffer from procrastination anymore and has the skill to solve different problems. So there are a lot of descriptions you can add to your weakness and it stops to be your weak side. All you need is to make logic sentences according to your real resume and job portrait. Anyway, the question about weaknesses is very important, because it is your opportunity to show employer own constructive criticism and the absence of fear to face the facts. So try to use this situation for your benefit. Be ready to answer such a question with all your professionalism and positive aim! Don’t miss a great chance to share your strength in any field of your life.